You have no doubt been in a situation where you’ve had to slam on your brakes, thankful that they work so well. Applying your vehicle's brakes is an example of stopping kinetic energy, which is present when your car is moving. Most automobiles today have anti-lock brakes. The ABS, or anti-lock braking system, is a four-wheel system that modulates braking pressure automatically during a quick stop. When the brakes are engaged, fluid is forced through a set of valves from a master cylinder, causing pressure that is transmitted to the hydraulic control units at each wheel. You can learn more about ABS from the pros at Meineke #51 in Huntington Station, NY. You never know when you’re going to have to make a quick stop while driving your car. It is critical that you be able to trust your anti-lock brakes when faced with an emergency situation. If you have passengers in your vehicle, children especially, the need for safety is even greater. Regular inspections are the best way to make sure that your brakes are in peak condition. At Meineke #51 in Huntington Station, NY, we offer excellent ABS brake service, including timely and cost-effective inspections. Your ABS is a crucial safety feature. Fortunately, there are several warning signs that will allow you to get it repaired before it fails. Many cars today have an ABS warning light. If yours comes on, take your car to a mechanic and have it checked right away. Other red flags for impaired anti lock function include brakes locking up at odd times, brake pedals that do not respond to pressure and a greater amount of pressure being needed to brake. If you notice any of these, it is time for an immediate check-up. Stop at Meineke #51 in Huntington Station, NY to learn about ABS system cost for repair or replacement. If your ABS fails, you can find yourself in a potentially very dangerous situation. Your anti lock system is what keeps your car from skidding or hydroplaning when you brake. For this reason, it is important to pay attention to signs that your brake system is impaired. One of the most common signs of an ABS problem is difficulty in applying the brake pedal, whether it offers more resistance or less than usual when you press it down. This type of problem is frequently related to brake fluid leakage or clogs and can arise whether you use silicone brake fluid or mineral brake fluid. 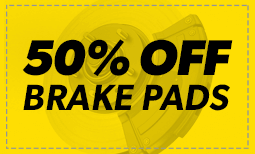 If you notice a difference in brake pedal resistance, get your system checked at Meineke #51 in Huntington Station, NY. The anti lock braking system is key to optimal vehicle safety. It is one of the most important components of your car, and any malfunction is a sign that you need to get it checked right away. While some ABS problems can be fixed with relative ease, others mean that it is time to replace the entire system. A major sign that you may need a new ABS is when your system kicks in randomly, even under normal driving conditions. This indicates a high likelihood that both the sensors and the control unit are malfunctioning. 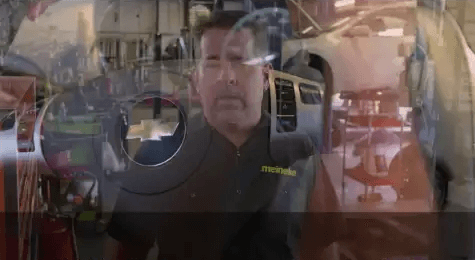 Learn more about ABS replacement or upgrade at Meineke #51 in Huntington Station, NY. Anti-lock brakes need professional service and repairs to maintain the components that must work together efficiently. We have mineral brake fluid and silicone brake fluid to keep your system operating in peak condition. Before you come down to Meineke #51 at Huntington Station, NY, stop by the coupon section of our website for great deals designed to help you save money on car repairs. We can also install new anti-lock brakes on older cars to keep you safe under any type of driving conditions. ABS technology is a great addition to any vehicle because it is proven to be effective in reducing accidents on the road.